Inclusion can take place anywhere, but where better to facilitate an inclusive program than in your school. 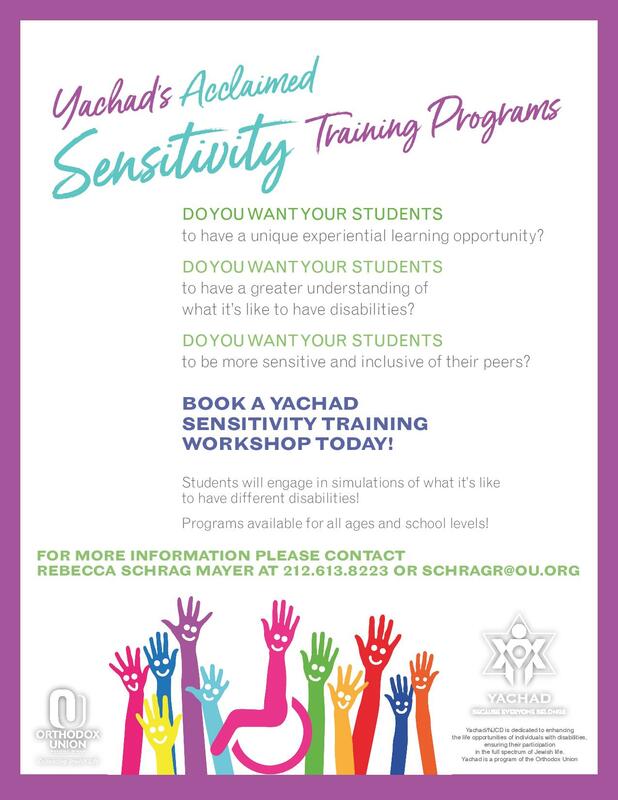 Yachad has a number of different programs where Yachad staff will come into your school and help facilitate a program geared towards the age group/grade desired. Programs can range from a Sensitivity Training, giving participants a change to put themselves in the “shoes” of an individual with a disability, to enjoying a holiday party together with Yachad members. If you would be interested in speaking with someone about bringing an inclusive program to your school, please fill out the form below.